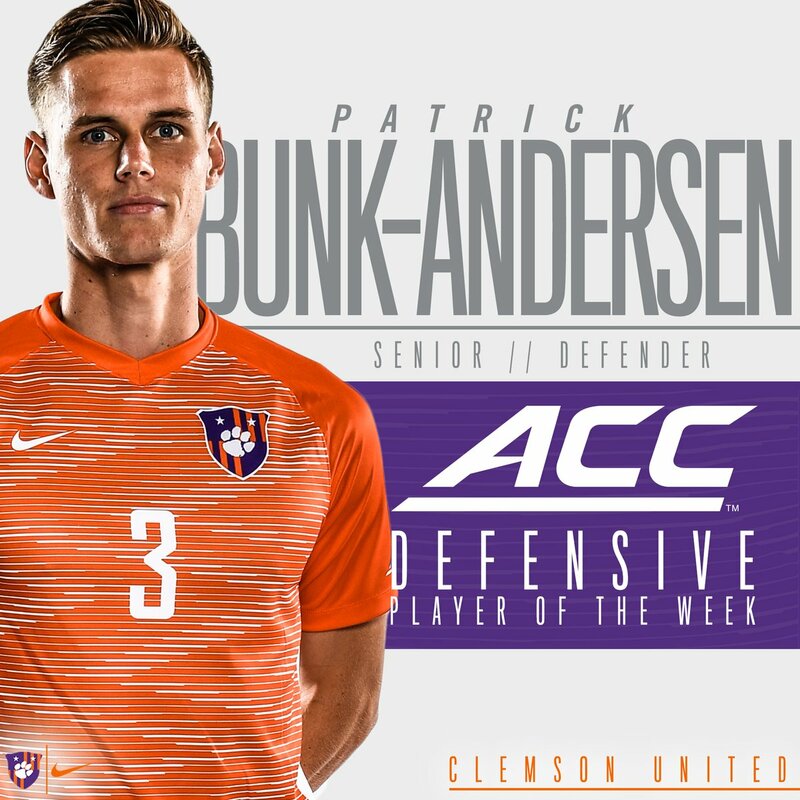 Clemson University center back, Patrick Bunk-Andersen from Copenhagen, Denmark was tabbed as the ACC Defensive Player of the Week on 29th October following a weekend of two vital wins for the Tigers. Patrick Bunk-Andersen is a key player for Clemson as a towering center back leading the troops. This is his last season, after coming from Denmark to Clemson on a soccer scholarship in August 2015. He has had a stellar career, playing more than 80 games, while getting top grades at a very good academic school. His aspiration after college is to play professional soccer, so we’re excited to see what opportunities lie ahead of this top notch Dane! Best of luck and enjoy the last games of the season and your college career,Patrick. You are a phenomenal student-athlete!